This memorial website was created in memory of our loved one, Ricardo Ibarra, 61, born on August 28, 1950 and passed away on December 15, 2011. Where Ricardo Ibarra is buried? 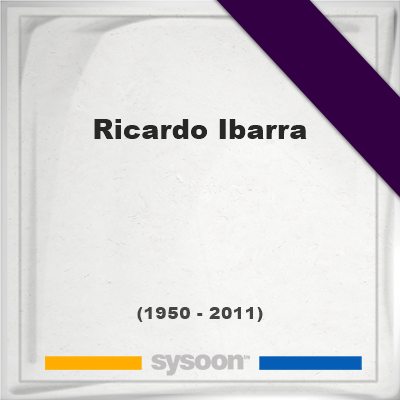 Locate the grave of Ricardo Ibarra. How to find family and friends of Ricardo Ibarra? What can I do for Ricardo Ibarra? He was a three-time Pan American champion (Mexico 1975, San Juan, Puerto Rico 1979 and Caracas 1983), and also took part in the Olympic Games in Munich in 1972, Montreal in 1976 and Los Angeles in 1984, at which he was the flag-bearer for the Argentinean delegation. Note: Do you have a family photo of Ricardo Ibarra? Consider uploading your photo of Ricardo Ibarra so that your pictures are included in Ricardo Ibarra's genealogy, family trees & family history records. Sysoon enables anyone to create a free online tribute for a much loved relative or friend who has passed away. Address and location of Ricardo Ibarra which have been published. Click on the address to view a map. Ricardo Ibarra was born in Buenos Aires, Argentina. 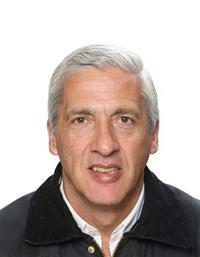 Ricardo Ibarra died in Argentina.